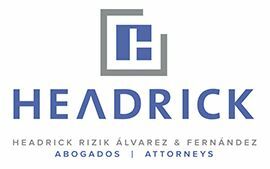 Partner at Headrick Rizik Alvarez & Fernández since 2000. Distinguished lawyer for her practice in the area of the business sector, serves as counsel for national and international clients in the implementation of investment projects; energy law; negotiation and execution of contracts involving public or private entities; franchise and distribution relations; processes for the creation and restructuring of companies, acquisitions, mergers and joint ventures, general counseling on Dominican legislation, including, but not limited to regulatory matters, real estate projects and estate planning. She currently presides the Employers Confederation of the Dominican Republic (COPARDOM). Former President of the National Association of Young Entrepreneurs (ANJE). 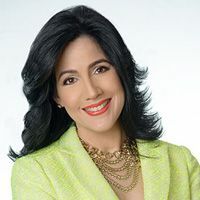 She has also distinguished herself as a columnist, and publishes a weekly column in the journal El Caribe since 2004 and in the daily journal Clave Digital. Recognitions: Dr. Vicens’ professional practice has been noticeably recognized by the Chambers Latin America – Latin America’s Leading Lawyers for Business 2010 edition and, by Latin Lawyer 250 – Latin America Leading’s Business Law Firms, 2009 edition, being praised out in the first one for her “simply magnificent work in the international market”. Her trajectory has also been recognized with multiple national merits awarded by public and private entities. Memberships: President de la Employers Confederation of the Dominican Republic (COPARDOM), Former President of the National Association of Young Entrepreneurs, Inc.(ANJE), Legal Counsel for the Association of Industries of the Dominican Republic, Inc. (AIRD), President of the Committee on Energy and Hydrocarbons of the National Council for Social Security in representation of the National Council of Private Enterprises, Inc. (CONEP), Vice-Secretary of the Chamber of Commerce and Production of Santo Domingo, Inc. (CCPSD), Representative of the Firm in the international network of lawyers TAGLAW, Institut de Droit d´Expression et d´Inspiration Françaises, Official Dominican Bar Association (CARD). TAG Alliances - "The Importance of Conferences" from TAGLaw TIAG on Vimeo.